Place a Bet Online have always been big fans of the pay by phone bill banking method, but unfortunately from our research it appears that there are very few sites with this and mobile gaming. To be honest we’re extremely surprised at the lack of mobile bingo sites who have not caught onto this payment method, as it makes life for the customer extremely easy. There is no need to store bank or any other financial details, simply choose the size of your deposit and your mobile provider will automatically bill you for your credit. The mobile bingo pay with phone bill payment method isn’t exclusively for contract phones either. Pay as you go customers can also use top up phone credit to play mobile bingo; a great way to cash in any excess credit that just keeps building up. Plus with sites like mFortune there’s not even a need to complete a registration form, just enter your mobile number, download and away you go. Probably the best example of a site offering mobile bingo with the option of phone bill payment is mFortune. They even have a very detailed help Section to help explain the payment process in more detail. MFortune is one of the most popular mobile sites around, in fact we’d be surprised if you weren’t already a member. 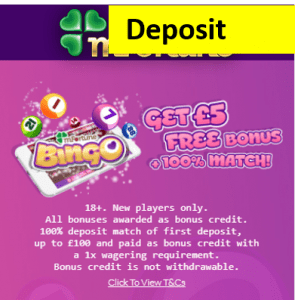 They also offer a fully inclusive version of their bingo site on your desktop as well as a mobile casino, poker and slots so it really is a one stop shop for all your mobile gaming needs. An alternative mobile bingo pay with phone bill site, that is definitely worth considering is Comfy Bingo. Having been around for a couple of years, Comfy Bingo recently launched their mobile bingo app to rave reviews and instant popularity. Part of that popularity comes in the form of a fantastic welcome bonus. When opening your account you will be instantly rewarded with a £15 sign up bonus and when you’re finished with a 1,150% deposit bonus. Another example of a mobile site that accepts payments via mobile phone is Pocket Fruity. Although they don’t currently offer mobile bingo, we certainly think they are worth checking out as they are fast becoming a leader in the mobile slots genre. New customers can enjoy extra credit as a sign up bonus when opening an account, as well as a ridiculous amount of deposit bonuses; making Pocket Fruity a must for people who enjoy playing slots.